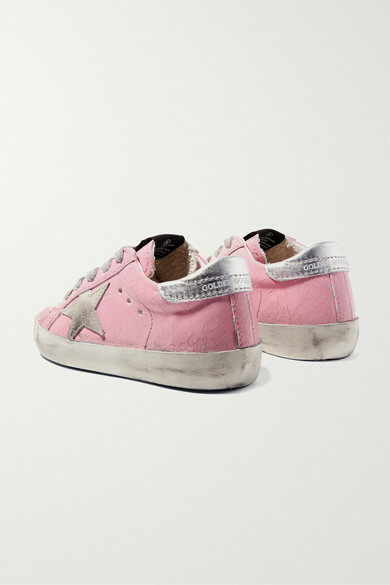 Golden Goose Deluxe Brand Kids' 'Superstar' sneakers come purposely pre-distressed, so there's no harm in letting your little one play in them outside - it'll only help the shoes look more authentic. 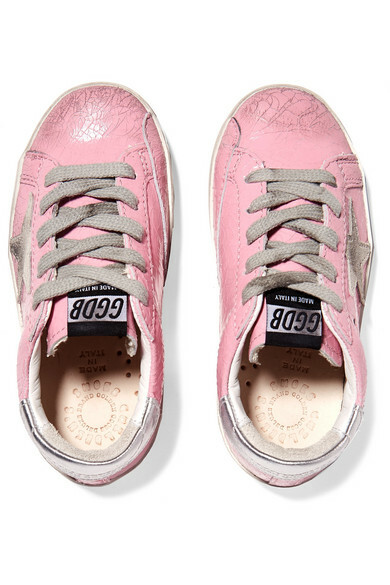 Made from cracked patent-leather, this baby-pink pair has a suede star and silver trim. We love the tiny rubber smiley face detail in the soles. 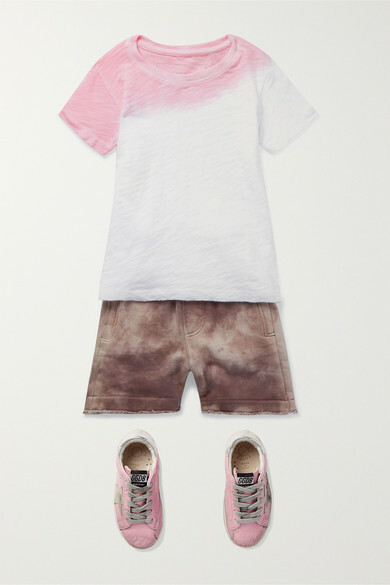 Shown here with: ATM Kids T-shirt, ATM Kids Shorts.